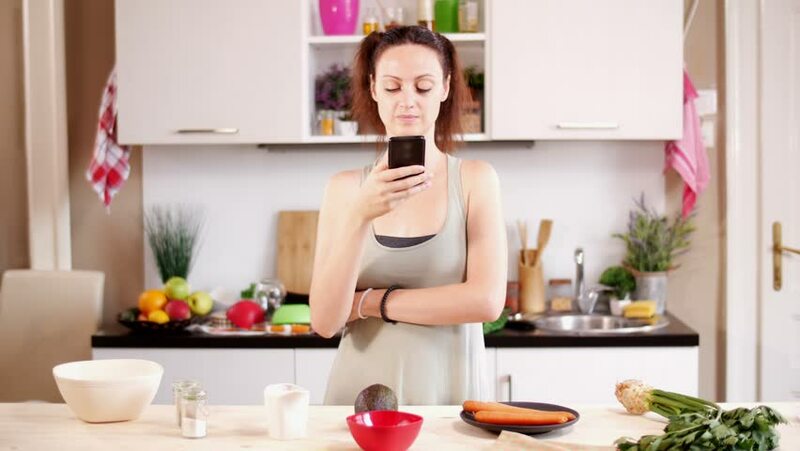 4k00:19Young Asian blogger woman using smartphone for talking, chatting and checking social media in the kitchen, female in sport clothing cooking at home. Lifestyle women relax at home concept. 4k00:18Young Asian blogger woman using smartphone photo post in social media in the kitchen, female in sport clothing making salad at home. Lifestyle women relax at home concept. 4k00:22Young Asian woman making salad healthy food while using mobile phone for looking recipe in the kitchen, beautiful female use vegetables preparing salad for fit body at home. Healthy food concept. 4k00:15Young Asian woman drinking orange juice in the kitchen, beautiful female in sport clothing use organic fruits lots of nutrition making orange juice by herself at home. Healthy food concept. 4k00:20Young Asian woman making salad healthy food while using mobile phone for looking recipe in the kitchen, beautiful female use vegetables preparing salad for fit body at home. Healthy food concept.